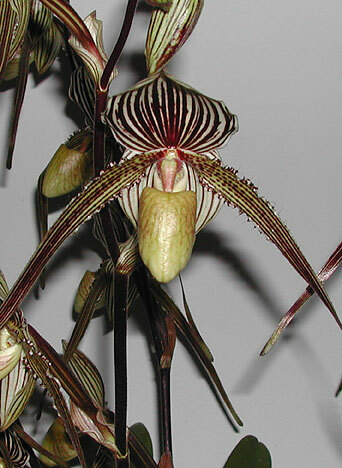 A remake of this classic Paph. 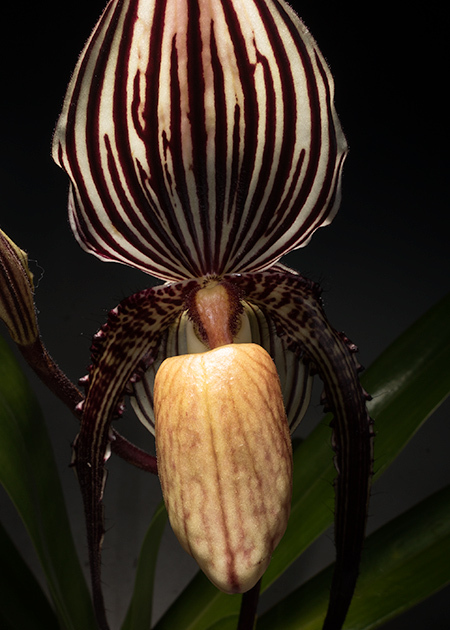 hybrid, this time using Paph. 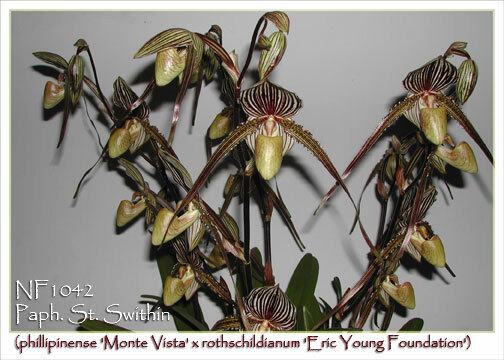 rothschildianum from the famed Eric Young Foundation ! 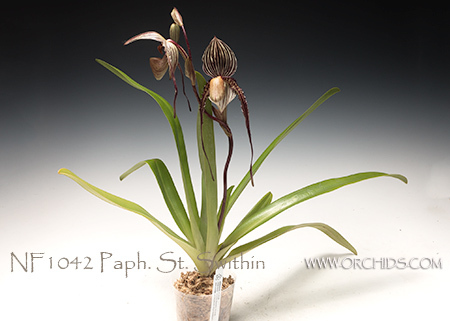 Saint Swithin is one of the best of all multifloral Paph hybrids, heavily used in hybridizing. 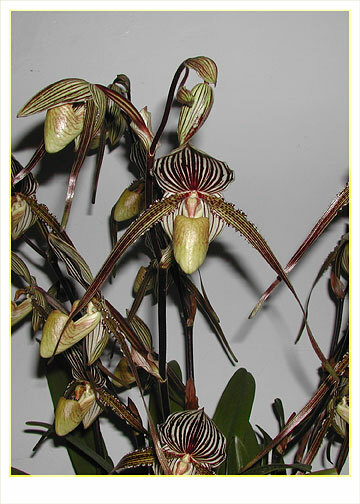 Unlike many Paph. 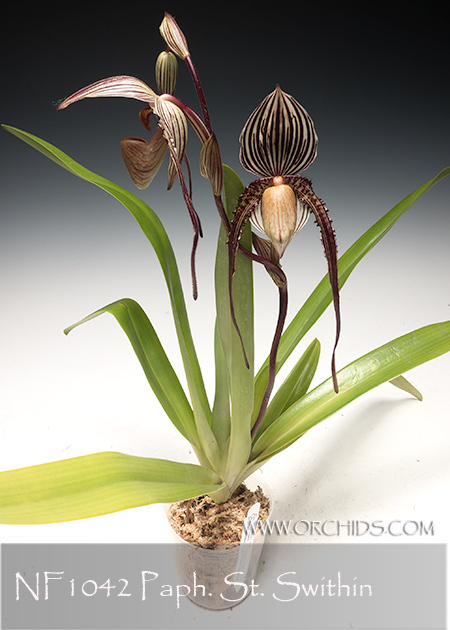 rothschildianum hybrids, this one grows vigorously and blooms freely. 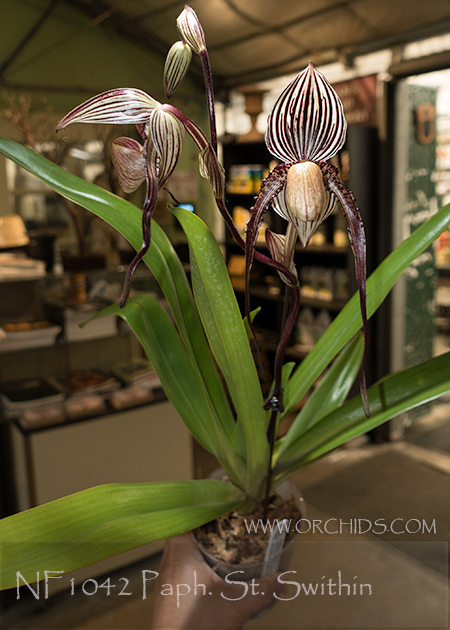 Typically a summer bloomer, it can carry 4-5 flowers with a natural spread of over 19cm ! 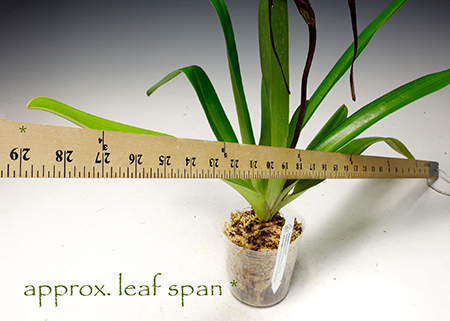 These are 5-year old fully mature seedlings with 25-35" leaf spans. 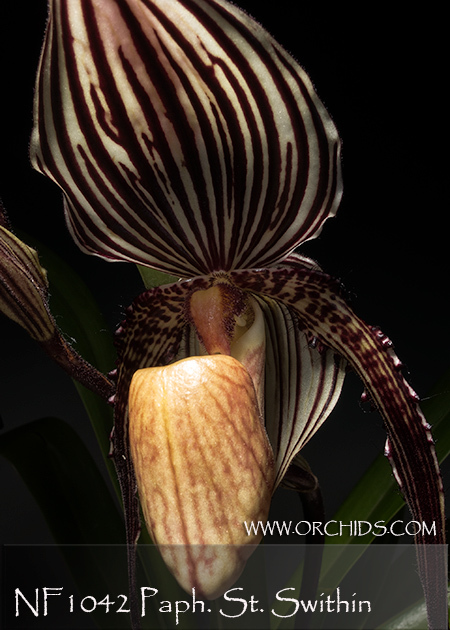 An absolute must for any Paph collection !